We are so proud of all the Texas wineries and those ever dedicated wine makers. We are so glad to be seated in the Texas hill country where wine is a fast growing industry and a huge tourism draw for those loving to sample right from where the wine is made. 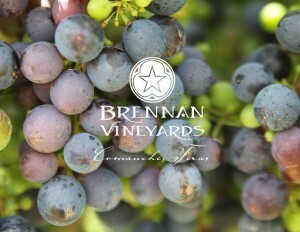 We just have to brag on our closest winery and partner in the area, Brennan Vineyards. 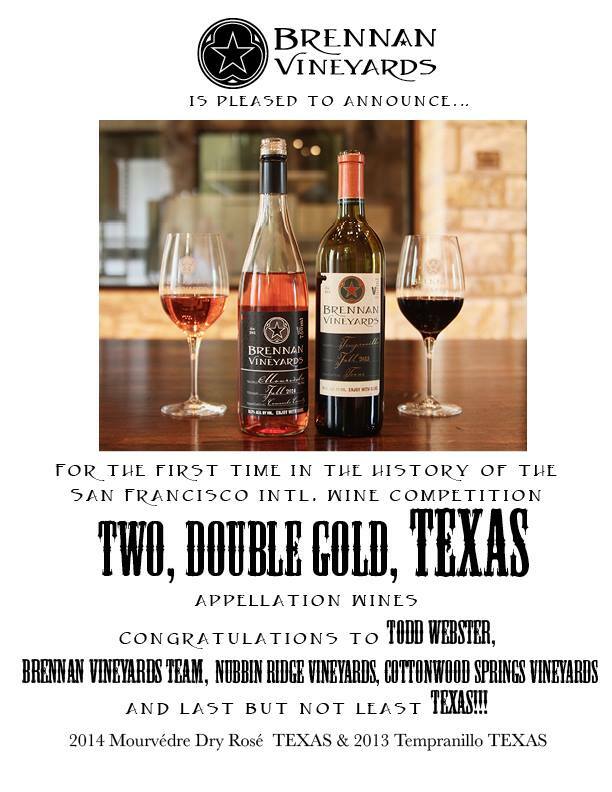 This is huge for them and all Texas wineries , as it’s the first time a Texas winery has brought home two double gold awards from the San Francisco International Wine Competition. Yes, the first time in history yes the first time for 2 double golds. We have been over and watched the growing, harvest and production of wines at Brennan Vineyards, and believe me, it’s a lot of work. From growing up on a farm, I can appreciate all that goes into those beautiful grapes. And then to know exactly when to harvest a certain grape for a certain wine, is a science that goes way beyond my understanding. But I am happy that they know what they are doing, so I get to enjoy the fruit of the vines. If you haven’t been to the area, and tried out some of the best in Texas, then we invite you to plan a trip soon. There are many wineries in the Top of the Texas Hill Country and we can testify, they are all great. So here’s our hat off, the Brennan Vineyards! Keep up the great art of growing grapes and making the best of the best in Texas Wines. This entry was posted in Cool Awards, Local Places, Texas Wine Trail and tagged award winning wines, brennan vineyards, Texas wines by admin. Bookmark the permalink.